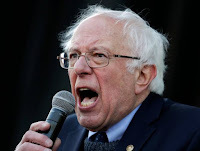 Bernie Sanders has introduced a bill, titled the Stop Walmart Act, that would prevent large companies from buying back stock unless they pay all employees at least $15 an hour, allow workers to earn up to seven days of paid sick leave and limit CEO compensation to no more than 150 times the median pay of all staffers. It is just remarkable as to how much bad economic policy can be included in one bill. There is ignorance about the minimum wage and how markets clear. There is ignorance with regard to corporate buybacks. And ignorance about CEO compensation and also mandated paid sick leave. Requiring a $15 an hour minimum wage will only cause unemployment amongst those whose hourly value is less than $15,00. Corporate buybacks make capital markets more efficient. Restricting buybacks can result in less desirable stock market conditions, thus causing less flows into the stock market and fewer new ventures being funded. Linking CEO compensation based on a ratio of staff pay will just result in less low paid workers being hired and another reason for corporations to use robots. Mandated sick leave results in more costly workers, meaning wages will fall across the board, also potentially resulting in additional unemployment. These are not difficult points to grasp. A bill like the Sanders' bill can only be proposed by someone who has a problem thinking ahead two steps or is dishonest. All these steps help unions by making non-union workers more expensive to hire and keeping low wage workers out of the market. So which is it Bernie, the inability to think two steps deep or are you in bed with the unions?